Woohoo! 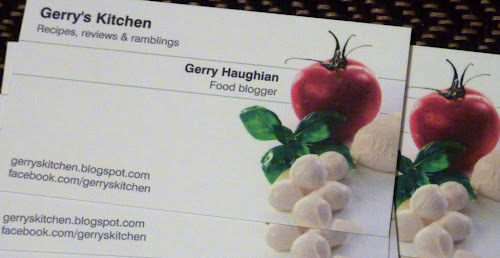 I'm so excited, Gerry's Kitchen's business cards arrived today. This means that from now, if I leave a business card in a restaurant, cafe or takeaway, then there will be a review on here over the next day or two. I wonder who will be the first to receive my calling card?